In the spirit of Do It Yourself energy, I am entering September with a detox. Fall always arrives suddenly to me. I know it is the turn I denote by the calendar, but still, it seems startling when I walk outside and though the sun is shining, I sense the oncoming winter beginning to stir. It seems appropriate to make a change myself, allowing this human animal to channel an instinctual urgency to prepare for the shift in seasons. Why to do this? This is best answered by motivation. I have plenty of energy and I don’t get many colds. However, I do have insomnia. And I would like to see if I can challenge my genetically inherited apple shape to lose a bit of its middle. And truth be told, I would love to see some of my former libido return. I want my moods steady and my mind sharp. Finally, it is the simple fact that I have lived for a rather long time on this planet by paleo standards. I have accumulated toxins I don’t even know how to pronounce. So, it seems like a good idea. How am I doing it? Why, DIY, of course. I am taking a bit of this and a bit of that, to make the best detox for me and my lifestyle. You can google Master Cleanse and get all kinds of information. There are fasts that go with the Master Cleanse and diets that use it extensively. I like the taste of it, and so having it in the morning makes me feel good, and maybe also as a refresher in the afternoon. Here is the basic recipe: Squeeze Fresh lemon Juice, then add Maple Syrup, and Cayenne Pepper into Pure Water. Drink that one down before you drink your green tea, the alternative morning beverage to coffee. All detox diets use a basic cleansing supplement, containing the standardized herbs that are known to cleanse and support the liver, kidney or blood. 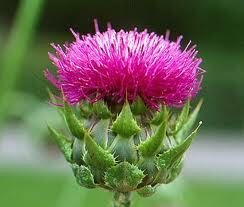 Look for milk thistle, dandelion, burdock. I use my own nettle tincture, made from the springtime fresh growing nettles in my backyard, but any nettle tincture or freeze dried nettle supplement will work. FYI: Take your herbal supplements once or twice a day with your smoothie (more on that tomorrow), not on an empty stomach. As a budding herbalist, I love it that these liver strengthening “herbs” are Old World weeds that essentially followed us into the New World. One could say, out of the Plant wisdom and generosity, they knew we would need them. 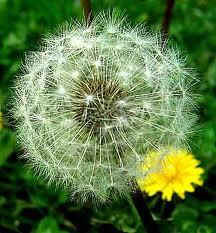 One could get lost in the world of what to take for Detox Support. I know, I have done it. But I think I know enough now to begin the process, and that’s what’s important just now. To begin.